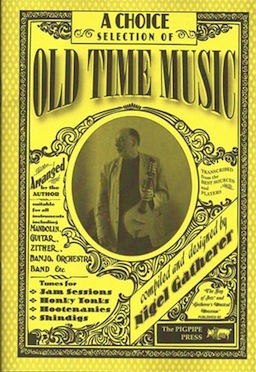 Old Time Music is sometimes called Hillbilly Music or String Band Music, but it's simply the folk music of America, and a strain of music which I've loved for some thirty years. The tunes in this collection are tunes which I've learned over the years from friends, acquaintances and from my record collection. I have tried to give the sources of the tune where possible, and the transcriptions are basic, with little exploration of the subtle variations and nuances present in most performance. The chords supplied are basic too, with only the odd alternative minors creeping in when I couldn't resist! The best way to get to know the music is to play it, and listen to other people playing it. Oh, and it's fun, by the way - enjoy playing this wonderful, happy music. Now available as an eBook (digital download, PDF format) and a mandolin tablature eBook.